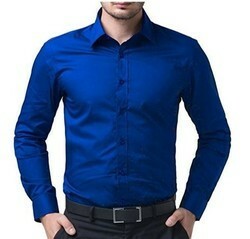 Being one of the renowned organizations in the industry, we are highly engaged in providing a premium quality range of Men's White Formal Shirt. 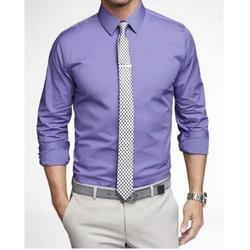 A very attractive white shirt detailing of pink in the design. A holster like band covering shoulder and armhole is made of pink. The inner button placket, backside of front placket and inner collar band is again of grey to match with outer design. This is a must have day casual shirt.